Can fit up to 9 including driver. 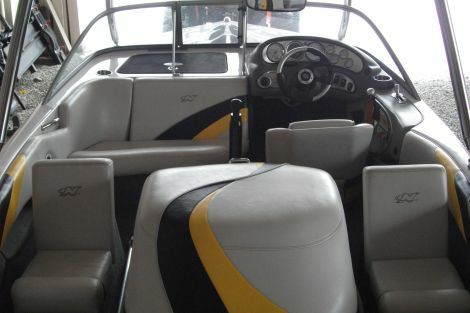 1 additional side seat added on each side of boat. Only 1 owner since new. Well maintained with only 275 hours and serviced every season. Excellent condition! Always kept in lift and never left in the water. Includes custom stainless tower that easily folds allowing you to store the boat in any garage. Optional walk thru windshield and 2 additional, removable side seats that can face forward or backwards to watch skiers/wake boarders. 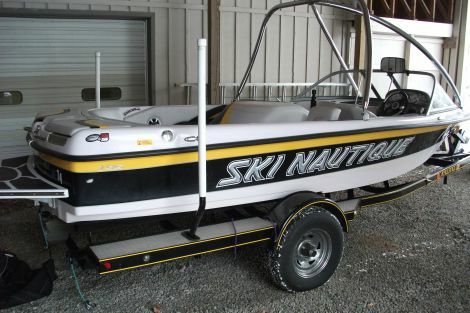 Great overall boat for cruising, skiing, slalom skiing, tubing, etc,and awesome for wake boarding when using the tower. 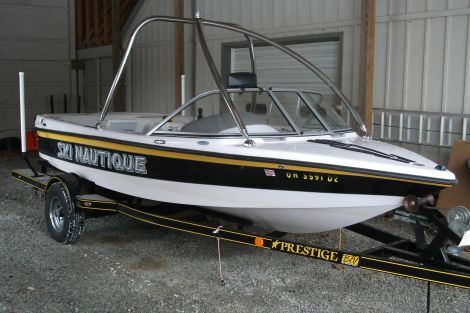 Complete with drive on trailer with less than 500 miles since new and designed specifically for the Nautique. This boat and trailer won''t last long at $29,999. Call 513 543 3888.